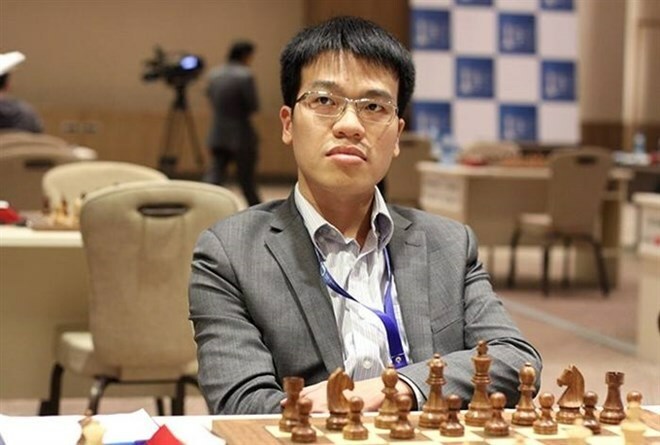 Hanoi (VNA) - Vietnamese Grandmaster Le Quang Liem finished joint fifth in the Saint Louis Rapid and Blitz tournament, the newest stop on the 2017 Grand Chess Tour in the US on August 19. He shared the position with Fabiano Caruana of the US and Dominguez Perez Leinier of Cuba, who managed to reach 16.5 points each, after nine rapid games and 18 blitz matches. Liem, Caruana and Leinier each walked away with a 10,000 USD prize. The top prize of 37,500 USD went to Armenia’s Aronian Levon, who scored 24.5 points in 27 games during the August 14-19 competition.